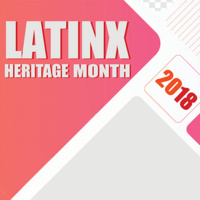 Celebrate the start of Latinx Heritage Month at the annual Opening Flag Ceremony with Latinx faculty, Adelante and the Office of Diversity, Equity and Inclusion. This year we will not be putting up the flags ourselves because of the library construction project. Instead, we will be honoring the flags with a short ceremony and pledge to protect Latinx flags and celebrate Latinx heritage.